Who needs Coachella when you can eat your way to happiness? This week’s foodie news is sweet music to our ears, and you’re gonna love grooving into chart-topping BYO pasta joints, cupcakes, and beer that tastes like summer. BYOh, hello darl! The team behind Spaghetti House Trattoria and CJ’s Pasta have put their noodles together to create CJ’s Secret Pasta Club – an intimate 14-seater with an ever-changing menu. The new West End wonder is open every weekday from 12pm-8pm, so grab your mates, a bottle of vino (lord knows how we’ve longed for a new venue with BYO allowed more than once a week), and tuck into handmade pasta and gnocchi just the way nonna does it (just don’t let her know). Hit ‘em with the (lamb) shoulders. 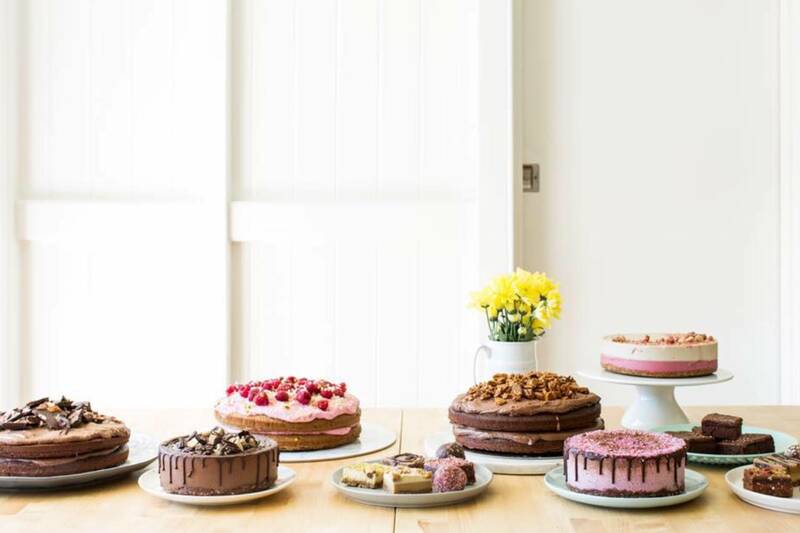 Brisbane’s renowned vegan café and cake shop, Nurti Hitt, is not only moving to Albion, but transforming its menu to suit every diet under the sun. Alongside vegan eats, meat, fish and eggs will be thrown into the mix, seeing the likes of walnut-crusted salmon with greens and dill cashew cream tempt everyone. We welcome our new omnivorous overlords. Hungry like the Wolfers. James Street’s award-winning Gerard’s Bistro has a new chef, and Adam Wolfers will be bringing a lot to the table come mid-May! His modern Middle Eastern take on cooking will see vibrant dishes take to the plate, such as Fraser Island spanner crab with Palestinian cous cous. Guess we’ll be booking our table a month in advance. Cupcakes – because we’d have zero self-control if a regular sized cake was placed in front of us. Chermside’s sweetest little store, The Cupcake Patisserie, is expanding with a second store set to open in Clayfield! Opening mid-May, you’ll need to pay a visit for all new baked goods such as cookies and muffins, milkshakes, coffee, vegan options, and doggie birthday cakes and bikkies for your best mate! Back to the tasting board! Motorwagen’s chef has hopped on his bike, making for a shift in the once fine dining restaurants direction. With a new menu still in the works, you can expect a more relaxed bistro approach for now, seeing classics such as fish and chips and calamari taking to the forefront. Felons Brewing Co. is going au naturale! The popular Howard Smith Wharves brewery is stripping down with a new sip up for grabs, dubbed Natural Ale. Available from April 18, the punchy passionfruit and mango flavoured beer truly tastes like summer, letting you laugh in nature’s face as you escape the cooler months one can at a time (yup, she’s available on tap and in cans). Your new coffee hub has arrived. Located in the CBD’s nifty co-working space Hub, Hub Anzac Square Café is a slick sixth-level spot where you can escape the daily grind in an iconic heritage building. Drop by for cold brew, turmeric and matcha lattes, Strange Love Soda from Byron Bay, Pana Chocolate, and a selection of fresh salads and sandwiches, with baked-that-day pastries. We’re comin’.